From being a sleep consultant for many years now, I have realized that most parents aren’t ready to jump into the sleep training process too quickly. Often, they do LOTS of research before even contacting me. Their research includes the internet, books, talking with mom friends and family members. Then, there is the pondering, should I? shouldn’t I? what are my own personal feelings? Is my baby old enough? etc etc. Believe me, I know because I have been there – the pondering (or indecisive stage) is my favourite – NOT!! My own pondering can drive me batty!!! Teaching your child great sleep skills isn’t a one-night operation. It takes some time, a lot of repetition, and plenty of discipline and diligence on the part of the parents, but for those of you who are desperate for just a little bit of relief, I have some tips that could help you and your little one get a few more hours of shut-eye, starting tonight without having to do full fledge sleep training. Once you have a bit more shut eye, you can ponder (eek) if you are ready for the next step! 1. Hello darkness, my old friend. Light, natural or artificial, sends a message to our brains that it’s daytime, and not time to sleep. Melatonin production is triggered by darkness, so start turning down the lights an hour before you plan to put baby down. Electronic screens, which emit a blue light are particularly inimical to baby’s shut-down process, so turn off those televisions and computers. For babies who wake up early, invest in some blackout blinds. This could be your one of the best sleep investments you make – we ALL sleep better in the pitch dark. New parents can be obsessive over their babies comfort, and making sure they’re warm enough while Mom and Dad are out of the room for the night is such a basic instinct that parents tend to overdo. Babies, like grownups, sleep best when they’re warm and snuggly inside of a cool environment. 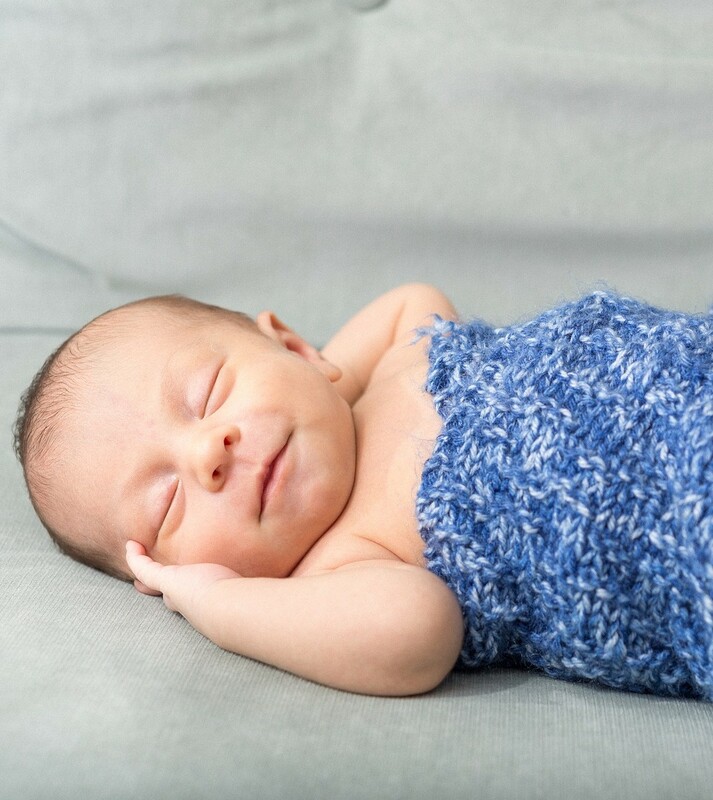 A warm nighttime onesie and a cool nursery, somewhere around 65°F and 70°F (18°C – 21°C) is the best way to ensure that baby remains comfortable through the night. I know we all love the look of a cute mobile over the top of our baby’s crib, or the sounds of the little faux-aquarium with the little plastic light-up fish. Even though these gadgets may seem soothing to us, they can be too over-stimulating for your little one, during sleep time! Sure, keep them available for playtime, just not sleep time. Their energy levels will start to wind down, melatonin production will kick in, and muscles will start to relax. By the time you’re giving them a goodnight kiss, their system should be all set for a long, restorative sleep. Drop me a line and let me know how these tips worked for ya!